Green Day have announced plans to release new music next week. 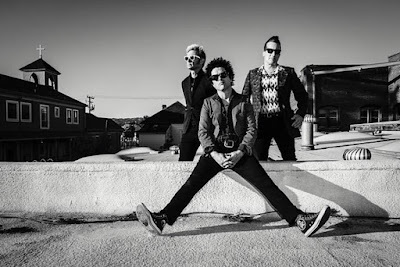 Green Day have been working on the follow-up to the 2012 trilogy, “Uno”, “Dos” and “Tre”, since early last year. The trio were inducted into the Rock And Roll Hall Of Fame in 2015 and spoke about their headspace and plans in the wake of the honor.